Studio apartments are blank canvases where you can transform the space and make it exactly how you want home to feel. Equity’s portfolio includes a wide variety of Seattle studio apartments and we’re confident that you’ll find a perfect match. The appeal of our studios goes beyond the layout or the floor-plan. Our homes are enhanced by an array of amenities that can include: private balconies, spacious closets, stainless steel appliances and a variety of beautiful finishes. Of course, we don’t expect our residents to stay inside all the time. At Equity, we want to create places where you can live and play. 24-Fitness centers, rooftop grilling spaces, and game rooms can be found in many of our communities. Outside, take advantage of the convenient public transit options and the close proximity to dining and shopping destinations. 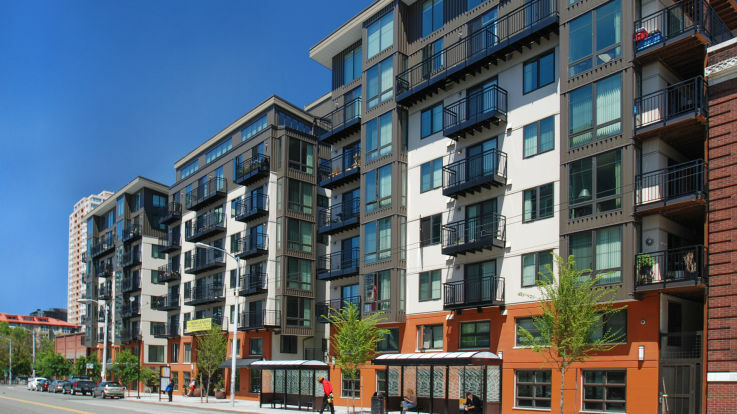 Find out how we can provide the finest residential living experience by browsing our offering of Seattle studio apartments.